Will the fare be fair? 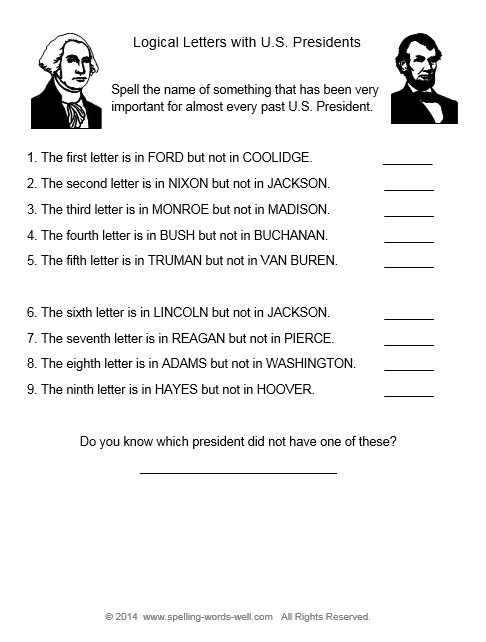 One great way to improve spelling skills is to learn the correct spellings and meanings of common sets of homophones. A large percentage of spelling errors are actually homophone usage errors. We’ve included 25 sets of commonly used and confused sets of homophones here to assist you. Here's a peek of the printable version. 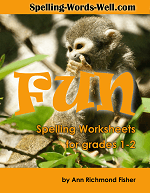 Get our free PDF version of our complete list of 50 homophone sets. Study it and you'll improve spelling skills quickly! 1. allowed (adj.) permitted. Pets are not allowed in this motel. aloud (adv.) out loud; with noise. The teacher asked me to read the story aloud. 2. bare (adj.) uncovered, naked. His bare arms quickly became sunburned. bear (v.) endure, support. 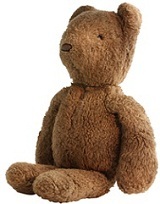 I can’t bear to go another hour without water. 3. board (n.) plank; We need to replace the board under the window. (v.) get on; Passengers will be asked to board the plane in 30 minutes. (v.) lodge; I will board at the motel while I’m in town. bored (adj.) uninterested, tired of something. I grew bored during the mayor’s long speech. 4. brake (n.) a device for slowing down a vehicle; My car needs new brakes. (v.) to run or use a brake; Be sure to brake before you run into the garage. break (v.) to smash or divide into parts; Please don’t break my new dishes. 5. capital (n.) the city where the government is located; Paris is the capital of France. (adj.) highly important; Always begin your name with a capital letter. capitol (n.) the building in Washington, D.C., in which Congress meets; The reporters waited at the Capitol to see the senator. 6. cent (n.) a penny; That old sock isn’t worth a cent! scent (n.) a distinctive smell; I love the scent of roses. sent (v.) to cause to go; He sent a check in the mail. 7. close (v.) to shut; Please close the window before it rains. clothes (n.) garments to wear; She bought new clothes when she lost weight. 8. coarse (adj.) rough, crude or harsh; His coarse manners were very irritating. course (n.) a path or route to be taken; Now that you’ve lost your job, what is the first course of action to be taken? Please note that we've not included every meaning, or every part of speech for each word. We've used the most common meanings, ones that are most often misused. Our goal is always to help you improve spelling skills! 9. die (v.) to pass away; The animal will die without proper nourishment. dye (n.) coloring: We used four kinds of dye to color our Easter eggs. 10. fair (adj.) just, proper under the rules, or ample; The judge made a fair decision. (n.) a carnival or exhibition; She won a blue ribbon at the county fair. fare (n.) money paid to ride in a bus, taxi or other vehicle. He paid his fare when he got on the bus. (v.) to get by, perform; She fared well on the job interview. 11. feat (n.) accomplishment; Composing an entire symphony is a remarkable feat. feet (n.) plural of foot; Her were feet sore because her shoes were too tight. 12. flew (v.) past tense of fly; The bird flew past my window. flu (n.) short for influenza; Sam missed work because he had the flu. flue (n.) passage for smoke in a chimney; The chimney flue needs to be cleaned regularly. 13. heard (v.) past tense of hear; The little girl heard the sound of her mother’s voice. herd (n.) large group of animals: The cattle herd roamed freely, looking for grass to eat. I thought I heard a herd of wild horses, but it was just my kids returning home from school. 14. hear (v.) to perceive sounds; I love to hear clarinet music. here (adv.) in this place; Put the groceries here on the table. 15. heal (v.) to make healthy; Extra rest and fluids will help to heal your sickness. heel (n.) the back part of the foot; Place your heel firmly into the boot. he’ll (contr.) he will; If you’re ever late to his class, he’ll make you work extra hard. 16. hole (n.) an opening or hollow place; The squirrel ran through the hole in the fence. whole (adj.) the entire amount; He ate the whole pizza by himself. 17. idle (adj.) doing nothing How can you remain idle when there’s so much work to do? Why not improve spelling skills now?! (v.) to pass time doing nothing She idled along the street. idol (n.) an image to be worshiped, or a person who is greatly admired; The rock singer became the newest teen idol. 18. its (pron.) possessive form of its; The dog lost its bone. it’s (contr.) it is or it has; It’s time for the play to begin. 19. loan (n.) money lent; The car loan was for $5,000. (v.) to lend something: Can you please loan me enough money for lunch? lone (adj.) single, only; The truck driver was the lone customer at the all-night diner. We often write the wrong homophones when we're in a hurry. 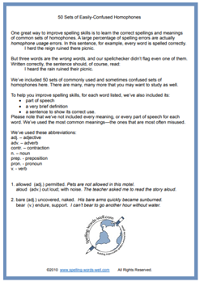 Simply by proofreading your written documents, you can improve spelling skills! 20. mail (n.) items sent in the postal system; I received six letters today in the mail. (v.) to send something by mail or e-mail; She will mail her car payment today. male (n.) a boy or man; There were ten male passengers on the train. (adj.) related to a man or boy; I heard a male voice on the telephone. 21. main (adj.) most important; The speaker’s main point was that we can all fight poverty. mane (n.) long hair on the neck of an animal; The little girl hung on to the horse’s mane when it started galloping. 22. meat (n.) edible flesh from an animal; We eat meat nearly every night for dinner. meet (v.) get together; Let’s meet for coffee tomorrow morning. (n.) sports competition; Athletes from ten schools will compete at the track meet. 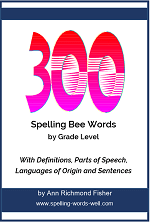 as an aid to improve spelling skills for the whole family! 23. pail (n.) bucket; That pail holds five gallons of paint. pale (adj.) lacking color; The sick child’s face was very pale. 24. pain (n.) physical distress; Her back pain prevented her from bending over. pane (n.) section of a window; The window pane was covered with frost. 25. passed (v.) past tense of pass; The teenager finally passed his driving test. past (adj.) later, or in a time gone by; Her financial worries are now all in the past. Ready for more? 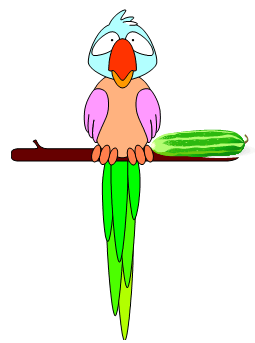 Read our second list of 25 more homophone sets, from patience/patients to you're/your. 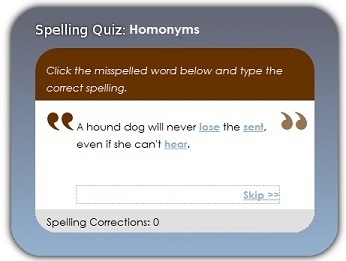 To test your own homophone handling, play our online-spelling-game. 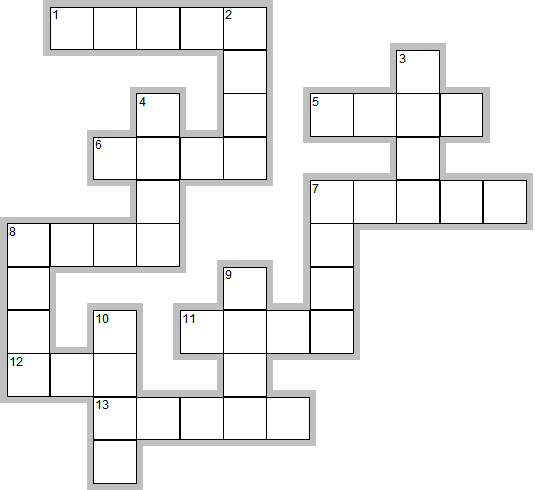 Here's a new crossword puzzle featuring homophones, suitable for early learners. Check it out! 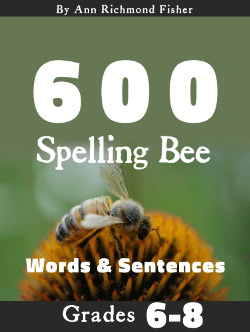 Try some of our Spelling Lessons to improve spelling skills.